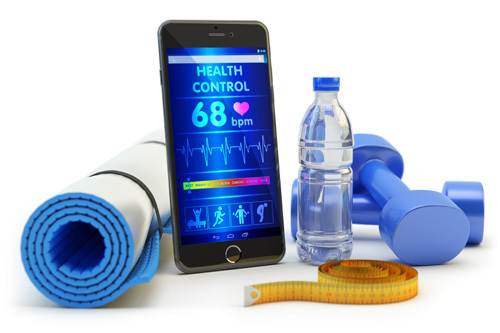 Smartphone-based activity trackers have gotten an intelligence upgrade as the Northwestern Medicine and Northwestern Rehabilitation Institute of Chicago released a study on a way to “train” trackers to know when they are being deceived. Activity trackers are used by a wide number of individuals to keep stock of their workout activities but they are also employed by companies and health professionals to monitor others. Some insurance firms, for instance, offer discounts to policy-holders whose devices show they regularly exercise. Doctors also have an interest in tracking the physical activity of patients; either for rehabilitation monitoring or research purposes. Other companies, wanting to promote employee health, have also been offering reward incentives to workers who meet exercise goals. The trouble is that activity trackers can be fooled. The most common example of this is that a smartphone could be shaken while seated to make the tracker think that it is walking, but other methods of deception exist. The Chicago study focused on how trackers could detect—or be tricked into detecting—sitting and walking. Fourteen subjects were recruited and provided with a smartphone that ran the researchers’ tracking app. They were then asked to engage in a series of walking and sitting sessions in their normal manner, while holding the device as they usually would. This data was then used to train the tracker to better identify walking and sitting states. Next came the deception trials. Once again, the subjects went through periods of walking and sitting but with a twist. While walking, they were instructed to try and make the tracker think they were sitting, and vice-versa. As an incentive to encourage best efforts, participants were paid each time they successfully fooled the device. Every time a subject succeeded in tricking the tracker, the data was collected and used to “retrain” the program between sessions. This cycle continued until a subject had completed ten deception sessions or was unable to successfully trick the tracker. When sitting and attempting to fake walking, common strategies were to shake the smartphone, place it in the pocket and moved their torso and legs to simulate walking, and spun or flipped the phones. When walking and trying to fake sitting, strategies involved changing the pace of the walk or moving the phone in a way to counter the effects of the walking motion on the sensors. Since it was important to test whether the trained activity trackers could detect cheating use in general rather than only among the habits of a specific individual, a second set of trials was undertaken using a new group of subjects. By using a combination of ready-trained phones and baseline programs, researchers found that if a tracker could be trained to notice cheating in one individual it would be capable of generalizing that ability to other users as well. The study only covered sitting and walking detection and the researchers admit that the more types of activities a tracker monitors (stair-climbing, driving, etc.) the harder it is to parse out deceptive behavior. The researchers also note that their approach cannot address the issue of impersonation—where the phone is given to someone else to perform the activities. Still, their findings show how data of deceptive practices can be used to train activity trackers to provide more accurate information in the face of attempted cheating. Methods on how to carry these features over into wearable trackers and improve sophistication will be avenues for future research. “You Can’t Fool This Activity Tracker,” Northwestern University web site, January 11, 2016; http://www.northwestern.edu/newscenter/stories/2016/01/fool-activity-tracker.html. Saeb, S. et al., “Making Activity Recognition Robust against Deceptive Behavior,” PLoS ONE 10, no. 12 (December 11, 2015).